There's lots more in store!Get your shopping shoes on. This season's new arrivals have hit the shelves! If you want some new tastes to try, then this is the season made for you! There are heaps of foods from afar! So why wait? We're open till late! Download the Shopkins App to unlock additional Shopkins fun! 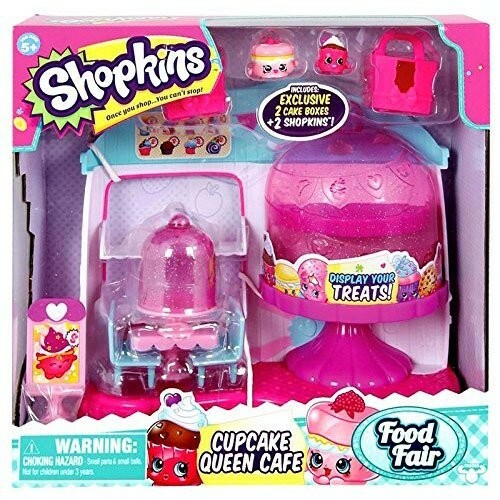 There's so much in store to adore when you plan a day with Shopkins! This product is listed on amazon using an ASIN of #B0186E4RB4 with an original MSRP of $17.99 . Product prices and availability are accurate as of April 20, 2019 and are subject to change. Any price and availability information displayed on Amazon at the time of purchase will apply to the purchase of this product. Certain content that appears above comes from Amazon Services LLC. This Content is provided 'AS IS' and is subject to change or removal at any time.